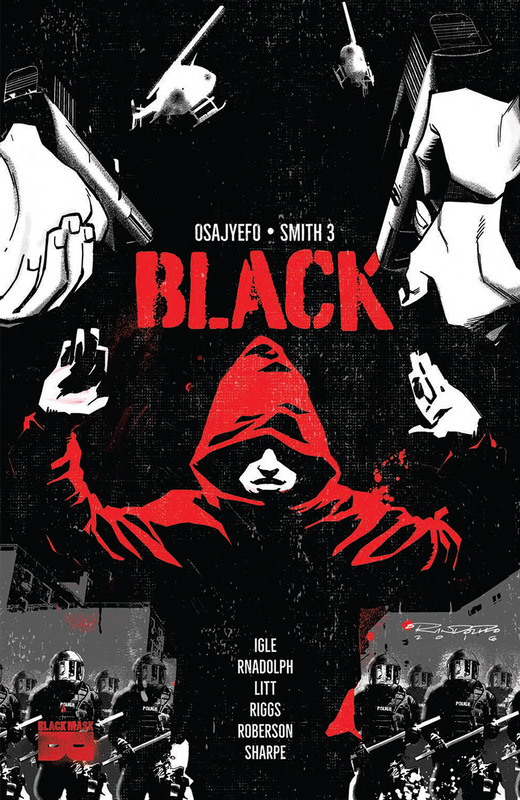 This week, the complete 6-issue mini-series BLACK comes to comic shops in a collected paperback edition. Black Mask is proud to bring you this bold and important comic book, which sets the stage for an entire line of upcoming comics. Following this month’s release of BLACK, VOL 1, the expanded line begins next month with BLACK [AF]: AMERICA’S SWEETHEART. BLACK began its life as a Kickstarter seeking to raise $29,999 and ultimately earned almost $100,000. When it launched in comic shops last year, the response was staggering. And now it’s in development as a feature film! In a world that already hates and fears them – what if only Black people had superpowers? X-Men meets The Wire, BLACK’s Kickstarter blazed through Black History Month 2016 earning more than three time its funding goal.